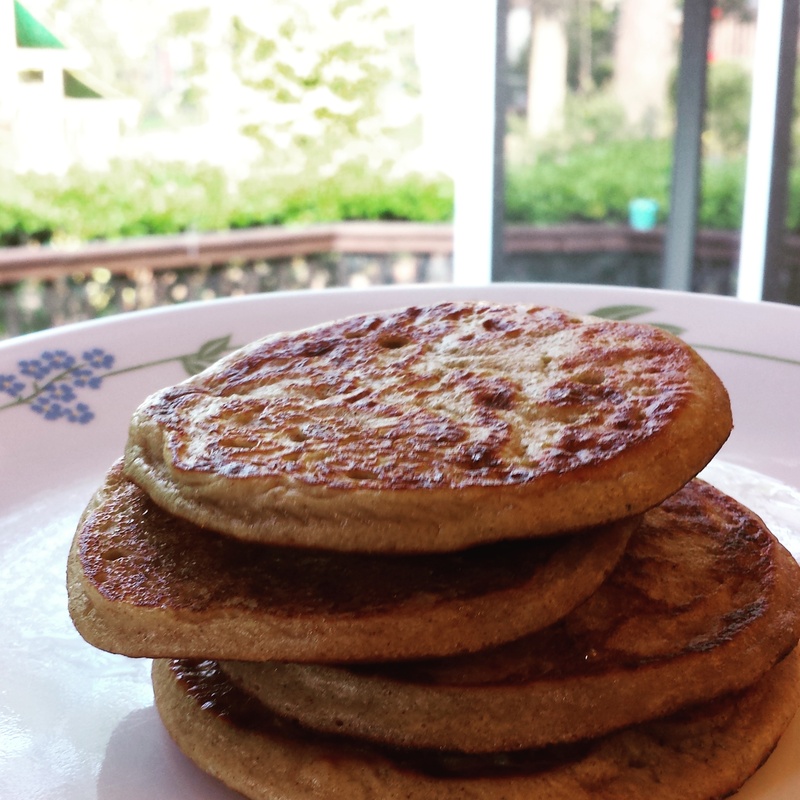 I had absolutely no intention of writing a review of flapJacked protein pancakes, but I enjoyed them so much and took so many pictures, that had I posted them all there it would have been a pancake overload. 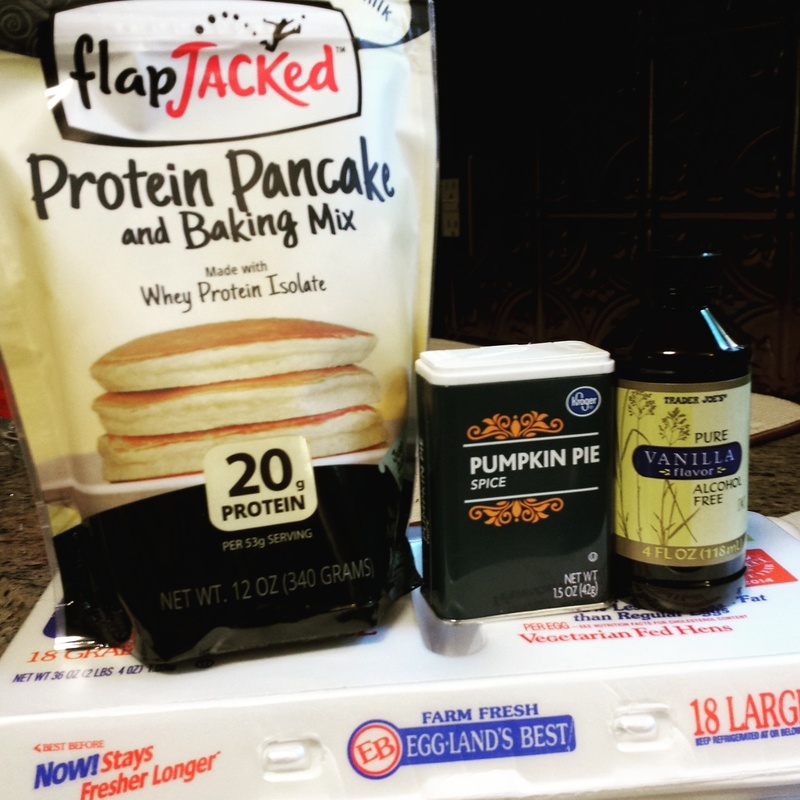 I went to our local Kroger supermarket for late night shopping run last night and decided to look for some protein pancakes, as one of my Refresh Summit sisters had recently posted on IG about a stack she had made. I was intrigued by the notion of a package of pancake mix made with protein powder because I have tried, and failed, to make my own protein packed pancakes. As the mother of a self-proclaimed carbivore, I’m always looking for ways to sneak protein into my carb-loving son’s diet. I wasn’t sure if the package of flapJacked I found was the same she had recommended, but I decided to grab it just the same. I figured that since my husband would be out playing in a disc golf tournament today, that my son and I would taste test them. If they were good I could make them again when he was home. If they were awful he’d be none the wiser. The directions give three protein options – one that yields 20 grams of protein, two that yield 25 grams of protein, and one that yields 32 grams of protein. I decided to try the 25 gram option that calls for reducing the amount of water and adding a large egg. Egglands Best are a staple in our house, and I always season our pancakes with vanilla and pumpkin pie spice. I’m not the biggest fan of whisking so I decided to put my new Ninja to work. It took less than ten seconds for the ingredients to be perfectly blended together. I poured the batter into my Pyrex measuring cup and let it sit for three minutes as the skillet warmed up (per package instructions). The first four pancakes went to my son. I was impressed with the thickness/fluffiness of the pancakes. Usually the pancakes I make are thin, more like crepes than pancakes. I made myself one pancake and thought it was delicious enough, but decided to try something I saw in a video posted to Facebook this week. I tried to get all fancy with it. You know, pretend like I’m one of those people who can recreate stuff I see on Pinterest. I wouldn’t say it was an epic fail, because it tasted delicious, but let’s just say my pancake didn’t look anything like the one in the video. Maybe it’s because I opted to use the Trader Joe’s hazelnut spread rather than the Nutella featured in the video. Either way, I decided to share a photo of the almost fully devoured pancake than when it first came off the griddle because it looked like something my eight year old made. For now I’ll be sticking with the nice and fluffy regular pancakes. 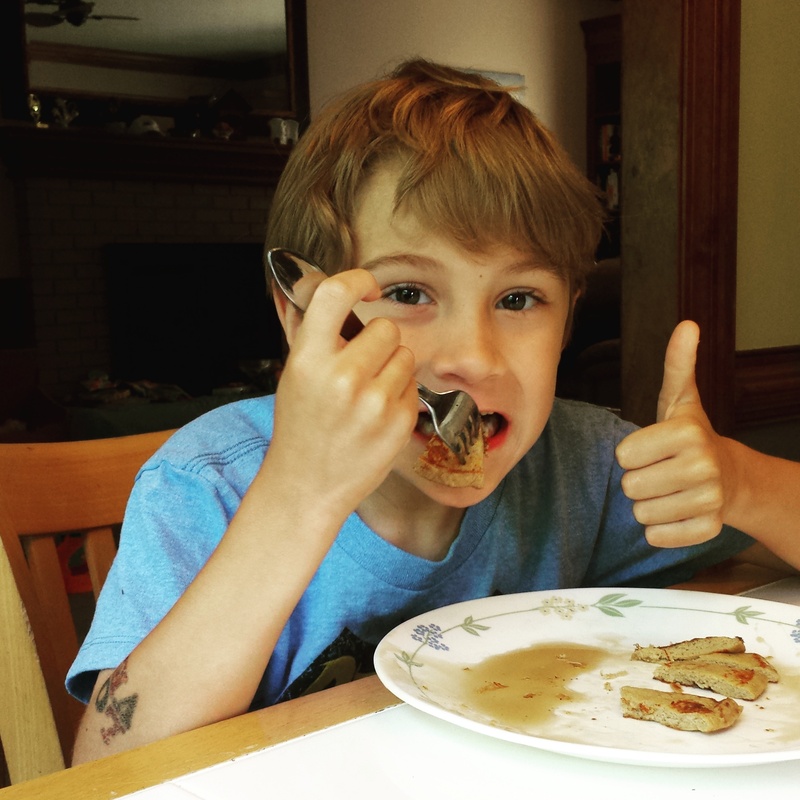 To say that my son thoroughly enjoyed his pancakes would be an understatement. He was one satisfied carbivore and I was pleased knowing that his pancakes provided plenty of protein. The directions call for 1 cup of mix which yields two servings. Each serving provides 200 calories, 3.5g total fat (zero trans fat), 23g total carbs (5g of fiber and 6g of sugar) and a whopping 20g of protein. Because I added an Egglands Best egg each serving had an additional 30 calories, 2g total fat, 0g carbs, and 3g of protein. Although a package of flapJacked pancake mix is about 70 cents per ounce, while a box of Log Cabin pancake mix is close to 10 cents per ounce, I think it’s worth the nearly $8 price tag. If you’re like me and you don’t make pancakes but once a week, you won’t really feel the cost difference. Even if you go through a package a week, the way I see it is that the protein alone is worth the cost difference and the ingredients are far superior. 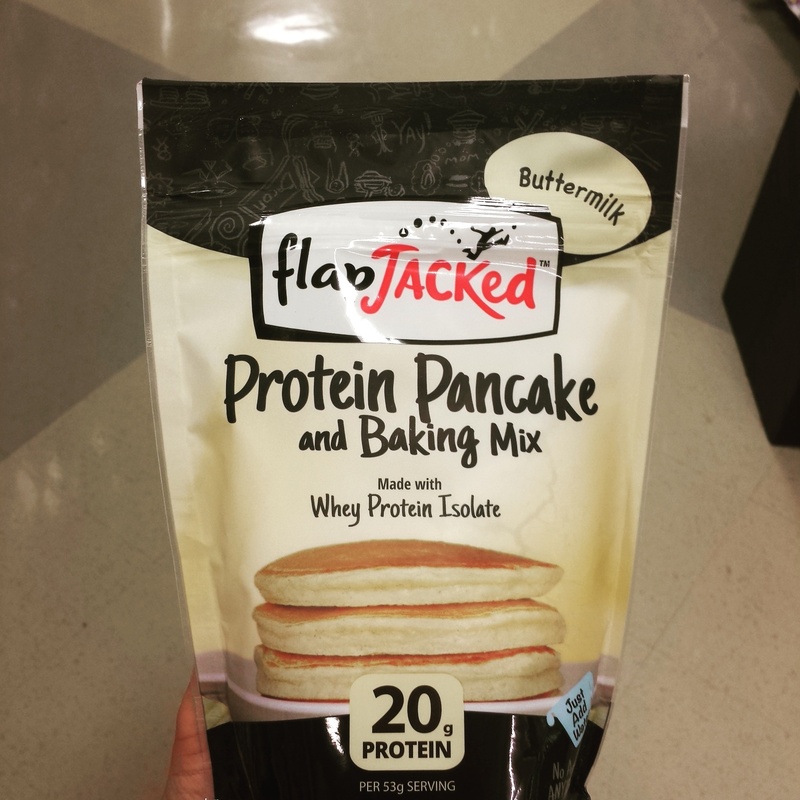 Have you tried protein pancakes? Made your own or bought a mix? Please share any tips you might have! I am getting me some this week!!!!! Let me know how you like them, Brooke! Thank you for taking the time to write such a great, detailed review! We’re so glad you (and your son!) liked the pancakes! Thank you for creating such a great and family friendly product! I’ll have to write a follow-up now that our twins have tried – and loved – them.